With a good night rest in Sun Moon Lake, it is time to visit the mountains in Nantou. Get ready your sunblock and make sure you apply it before leaving your hotel. If you have missed our Day 3 of this itinerary, read it here! Your adventure to Nantou’s Mountain normally starts at around 9 am unless you decided to see the sunrise in Sun Moon Lake and you are late! So let’s start the 4th day of your Taiwan Itinerary! 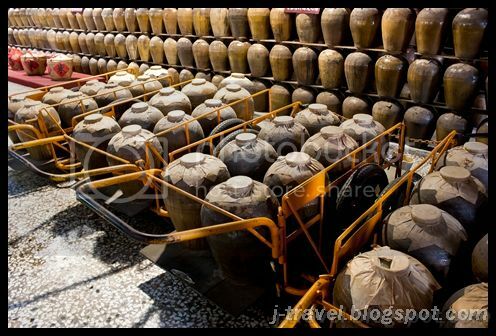 What You can do at 埔里酒厂 – Bù Lǐ Jiǔ Chǎng (Puli Brewery)? After the educational trip about alcohol, I hope you are not drunk 🙂 It is time to taste the most popular dessert in Nantou. The dessert was created by a father whom wished to express his love to his son. 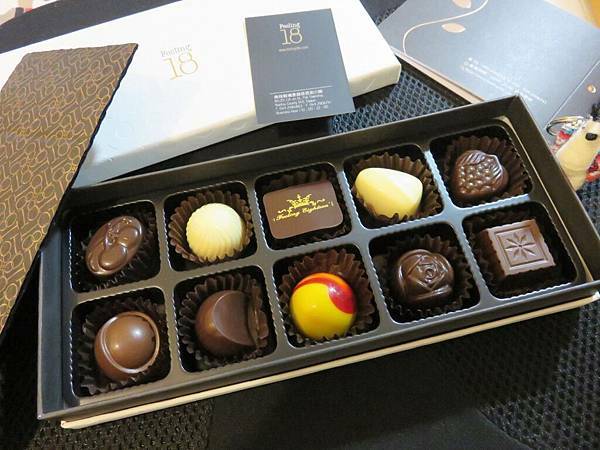 He wanted to create the best chocolate that will melt in everyone’s mouth to express his love. In 2006, his store, 18度C巧克力工房 (Feeling 18c), was found by internet blogger and from there it became very famous. The father decided to name the shop as Feeling 18c because 18 deg is the best temperature to bring out the chocolate flavour. Over here, they sell chocolate and also ice cream. Their services are rather slow because they need to ensure that their ice cream and chocolate are always maintained in the best temperature. So it is common to expect a long queue when you visited them. However, when you tried their chocolate and ice cream before, you will understand why people keep coming back. PS, they will provide you sample for both ice cream and chocolate. Now it has become an attraction that most tourist will visit in Puli. Its fame has spread to almost all over Taiwan and it is not an exaggeration to say that it has become the top attractions in Puli. What You can do at 18度C巧克力工房 (Feeling 18c)? We will visit the first theme pavilion in Taiwan that features the head of state. In Nantou, it is not just about Sun Moon Lake, Feeling 18c or Paper Dome. 元首館 (King Garden) is also one of the place you can visit. It is the first Theme Pavilion in Taiwan that features on head of state. King’s palace, giant chess, miniature train, horse carriage and etc are available for you to take photos. There are many interesting things that is related to different head of state in the world inside the building. Make a guess, how many of them will you know? 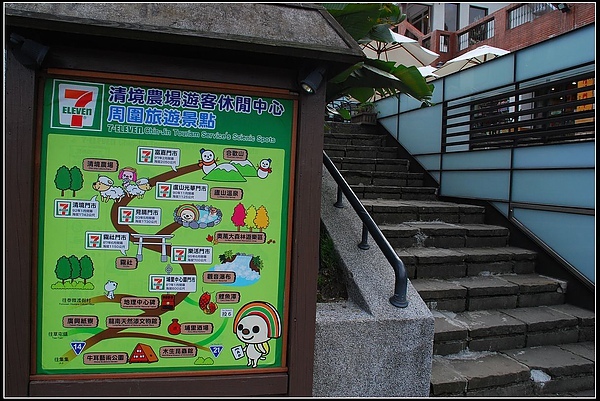 What You can do at 元首館 (King Garden) ? Take photo with the beautiful backdrop here. Remember to take some photo with just the scenery too. 2 Remember to get some interesting souvenir here for your family and friends. Do you know all the head of states who are featured here? 3 On the 2nd floor, you will be able to try their famous healthy steamboat. If you are a mushroom lover, you must try the steamboat. It is delicious and yet healthy. After drinking, shopping, sightseeing, it is good to visit somewhere quiescent. How about visiting the only church that is made of paper in the world? 紙教堂 (Paper Dome) is a temporary church constructed using paper tubes. 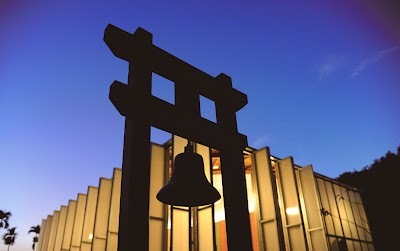 It was built in 1995 to serve as a temporary church after Great Hanshin earthquake in Kobe This church was then donated to Taomi Village in Puli Township, Nantou County in Taiwan because of 921 earthquake. 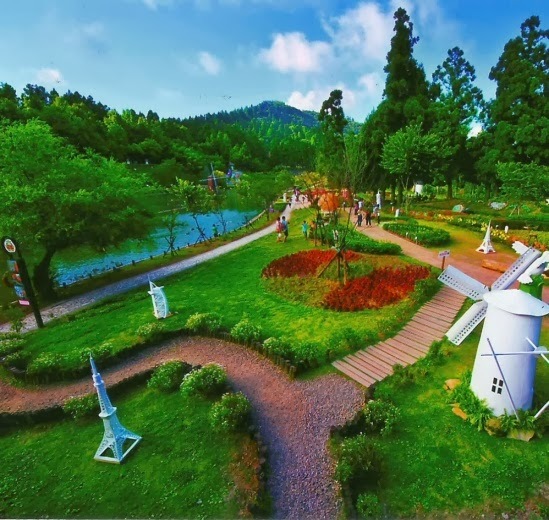 It was shipped to Nantou in 2006 and is now one of the top attractions in Nantou. What You can do at 紙教堂 (Paper Dome) ? Now, you will visit the highlight of the day, 清境农场 (CingJing Farm) – the Foggy Eden. Cingjing is far from city center and 1750 meters above sea level. Its picturesque environment won the title of Foggy Eden and loved by people who enjoy fresh air, nice scenery and amazing starry night. CingJing farm was established on 1961 as the settling place for demobilised soldiers but it is a top attraction spot in Nantou now. It is an ideal place for anyone who love to interact with farm animals like sheep. In the farm, you can enjoy horse riding and sheep shearing shows. After the show, you can get some food and feed the sheep in the open field. Remember you are at high altitude so weather is colder and UV radiation is stronger. We strongly recommend you to apply sunblock to prevent sun burn. What You can do at 清境农场 (CingJing Farm) ? 2 There are a lot of sheep products that are only available in Cing Jing, especially skin products. Skin products that are made from sheep’s essence are very good. You must remember to cater some shopping time. Then we will going to the last destination of today itinerary, 清境小瑞士花園 (Little Swiss Garden). Little Swiss garden is located in Renai Township , Nantou County , about 1800 meters above sea level next to Cingjing Farm. The annual average temperature is around 15-23 degrees Celsius. It is a small but beautiful garden. Little Swiss Garden’s views are fascinating. It is overlooking the entire park and sometime during misty period, the dream-like view is really stunning. In addition, the rolling mountains and seasonal flowers landscape makes it seems like a fairyland. There are also a lot of wooden decorations that give you many opportunities to take amazing and interesting photos. What You can do at 清境小瑞士花園 (Little Swiss Garden) ? 2 Travel Tip: January and February are their Tulip blossom period. If you come at the right time, the garden will be even more beautiful. 3 Travel Tip: Remember to wear thicker clothing. It is cold here. 4 Photography Tip: Day view and Night view here are totally different! If you are staying around here, it is worthwhile coming down at night to experience the night view. After this, you will rest in your minsu in Cing Jing so that you can be recharged for the Day 5! If your camera is able to prolong your shutter speed to be at least 15-20 minutes, you will be able to capture star trail in Cing Jing. Like our Facebook page so that you will not miss out our Amazing Taiwan Itinerary 7 Days 6 Nights (Part 5). This is how we plan your itinerary. So, chat with us when you are planning your itinerary. Anyway, it’s FREE, so why wait?